The Rubber CYL is Slash Objects classic side table, made of rubber and cast with concrete and brass. 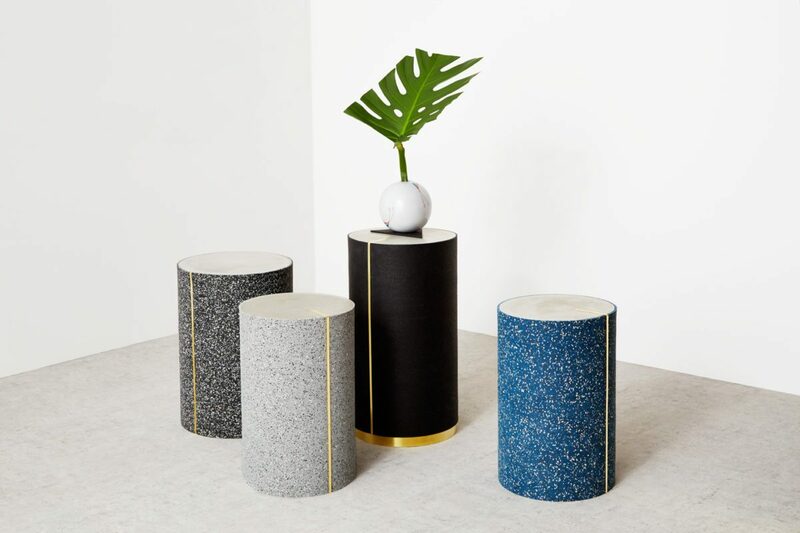 The side tables come in a variety of finishes and sizes, from Gris, Royal, and Pure Black colorways. Available in 10”Diameter and 12” Diameter, from 16”Height to 20”Height. Brass trim on base only available in 10″ diameter at any height .